In Feb, 2019. 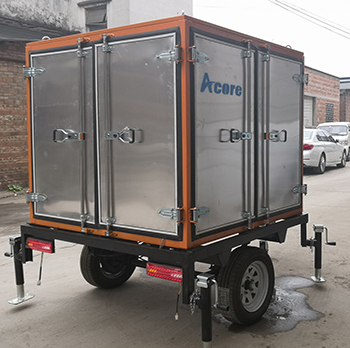 Acore Filtration Co.Ltd sales a set of MTP-30(1800LPH) Mobile Transformer Oil Treatment Machine with trailer & weather-proof canopy to Ghana Northern Electricity Company. 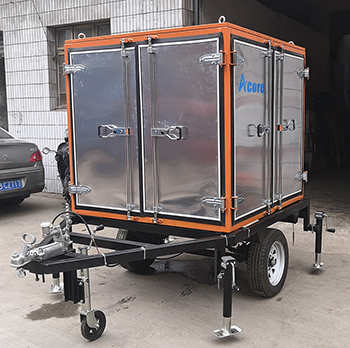 The customer choose some optional parts like online moisture transmitter, digital vacuum meter, inlet pump, etc. for realizing full performance. 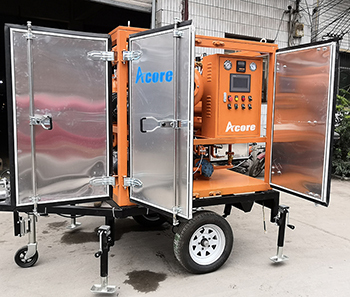 The MTP-30 Mobile Transformer Oil Purification Machine can move from site to site for online purification treatment at site. 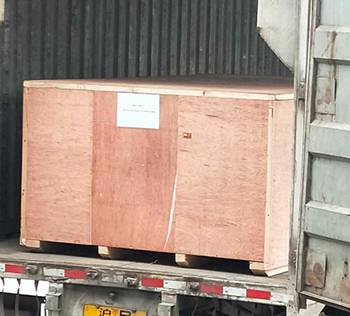 Following is picture of MTP-30 oil treatment machine exported to Ghana Northern Electricity Company.